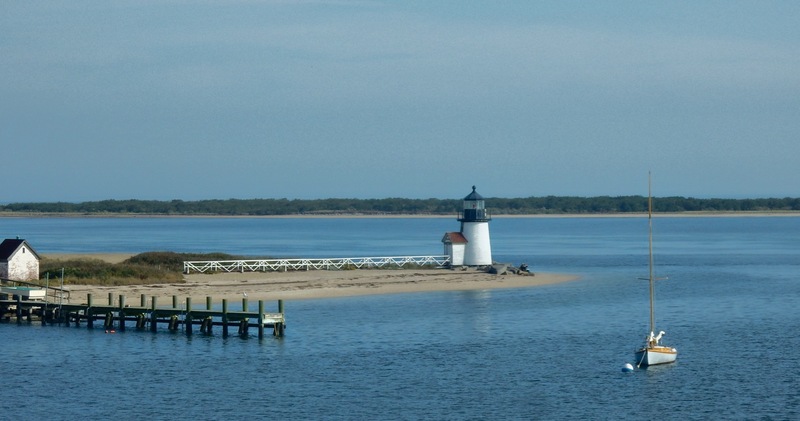 WHY GO: Most people come to the island of Nantucket MA for the beaches. Or the boutiques. Or the highly respected cuisine. 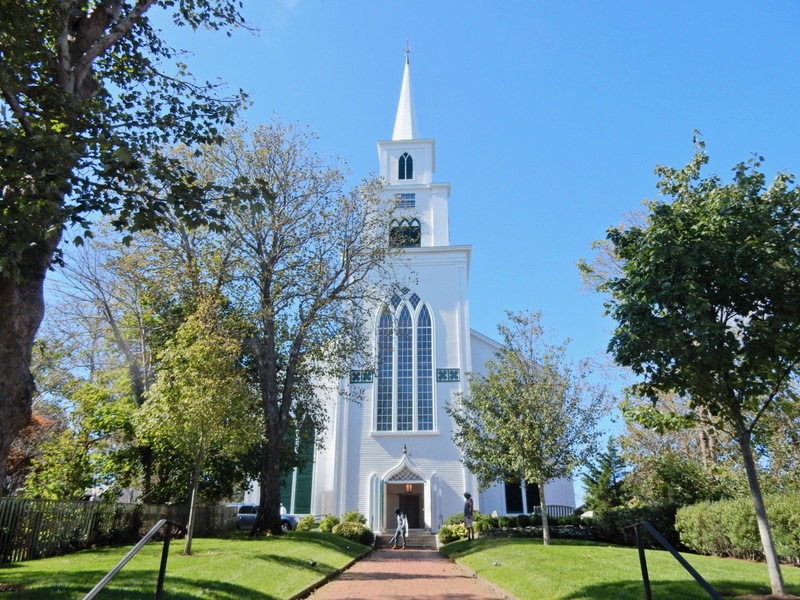 But Nantucket, 26 miles off the Massachusetts coast – the most remote of all New England islands – is so steeped in history, the whole landmass has been declared a National Historic Landmark. 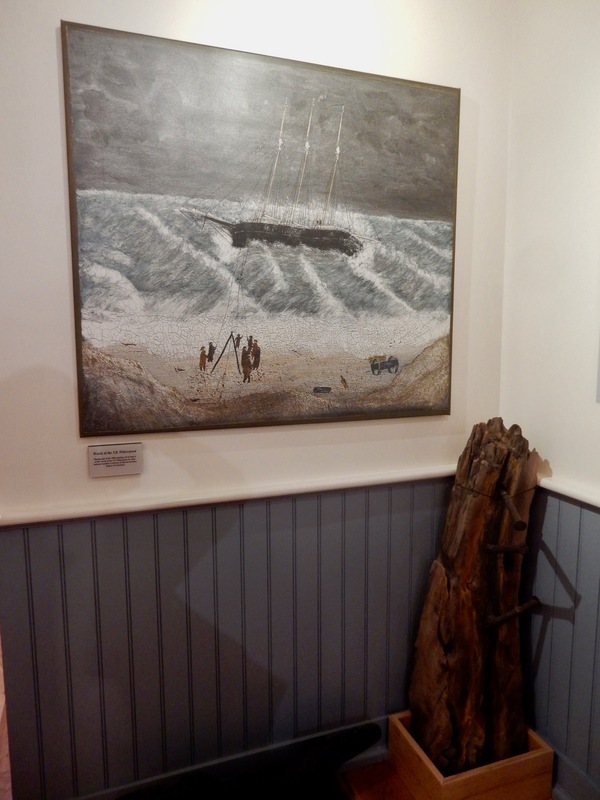 GO: Nantucket Historical Association Whaling Museum. 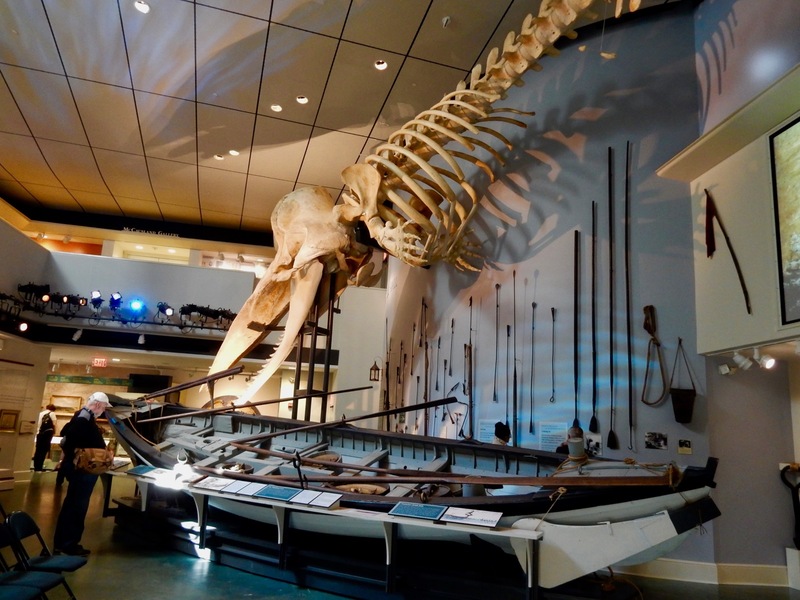 The skeleton of a 46 ft bull sperm whale hovers perilously over a harpoon packed whaling skiff – the centerpiece of the Nantucket Whaling Museum. 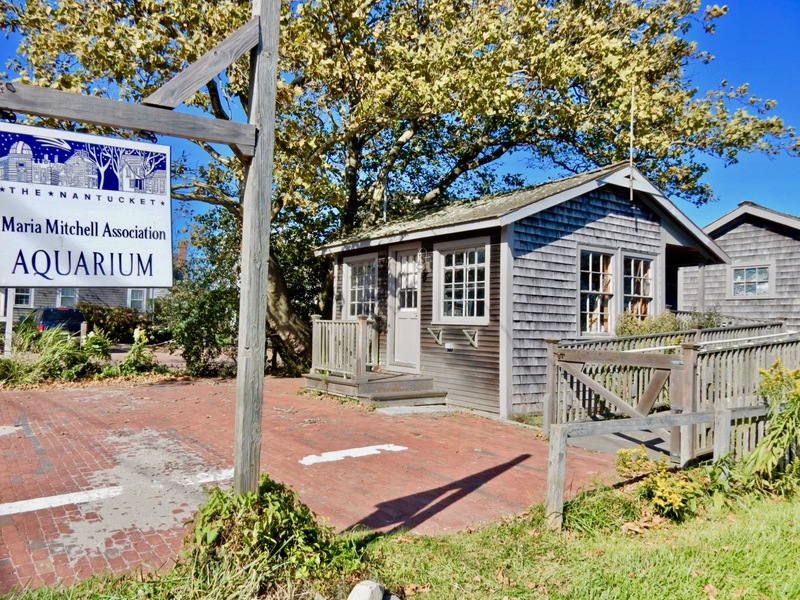 Over the past few decades, this once small whaling museum has expanded into a world-class institution, run by the noteworthy Nantucket Historical Association, which also manages several other worthy historic sites on the island. The unfortunate whale washed ashore nearby on January 1, 1998, and despite attempts to revive it, the whale died (most likely from a tooth infection). 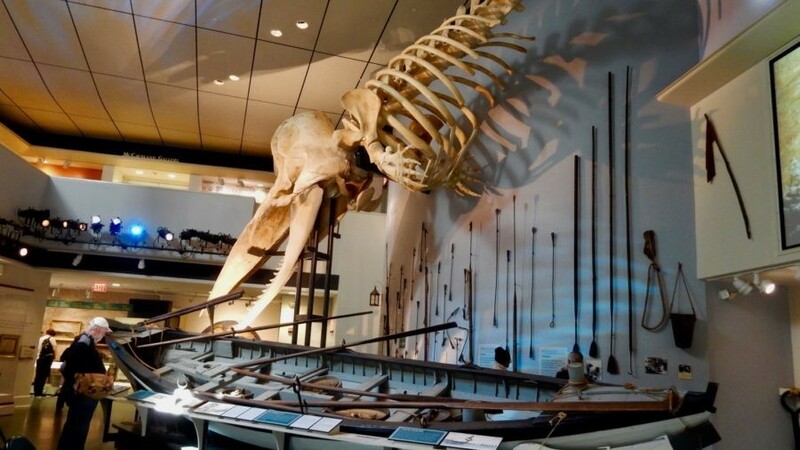 Now, the bones of this monster best demonstrate what whaling crews had to harpoon and wrestle with in order to drag it aboard for processing. One young sailor wrote about the “blood stained decks,” and “huge masses of flesh and blubber lying here and there” on a typical whaling ship. 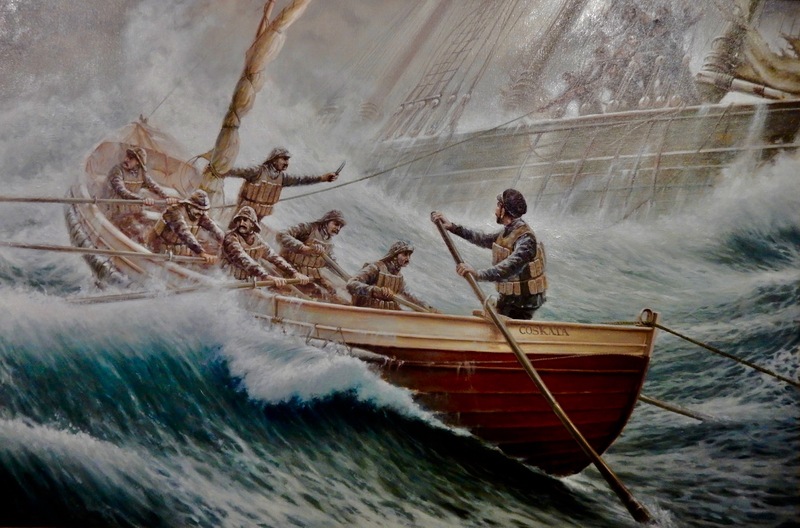 Nantucket whalers went out for months, sometimes years, at a time, and crews tended to be very diverse: many from the Azores, but others fugitive slaves who found a life at sea the best way to throw slave hunters off the trail. 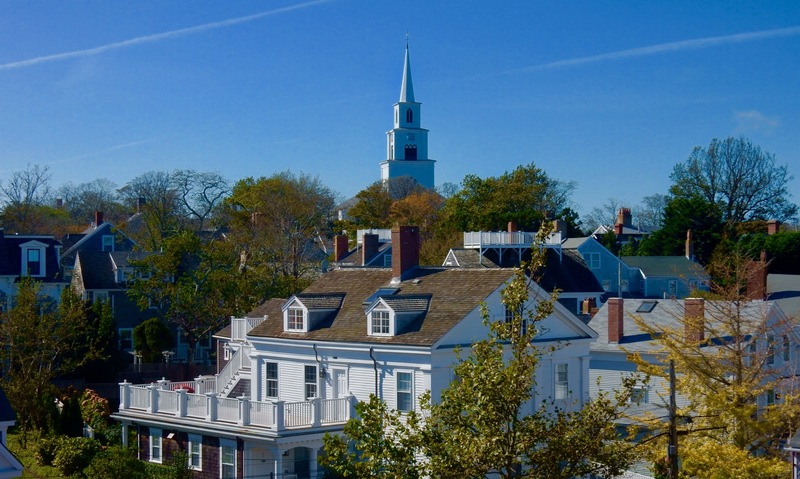 Nantucket was a true melting pot before its time. The men aboard whaling ships were the first Americans to explore the islands of the South Pacific, bringing back bamboo and rattan used in distinctive Nantucket decorative arts. Life onboard was often boring, so sailors would pass the time by carving or etching whalebone and creating gifts for their loved ones – like scrimshaw, corset stays, pie-crimpers, and combs. 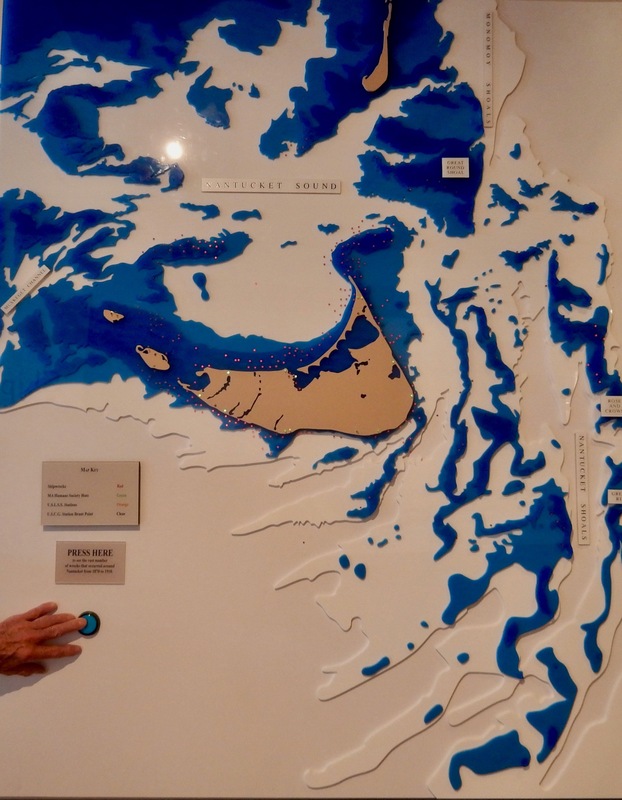 Begin with the Island-In-Time exhibit, which illuminates 5,000 years of Nantucket history, from the Wampanoag natives, to the first nine English settlers in 1659, who grew to a population of 9,700 by 1840 while the local tribe dwindled through illness and alcoholism from 3,000 to 800 and then to basically none. 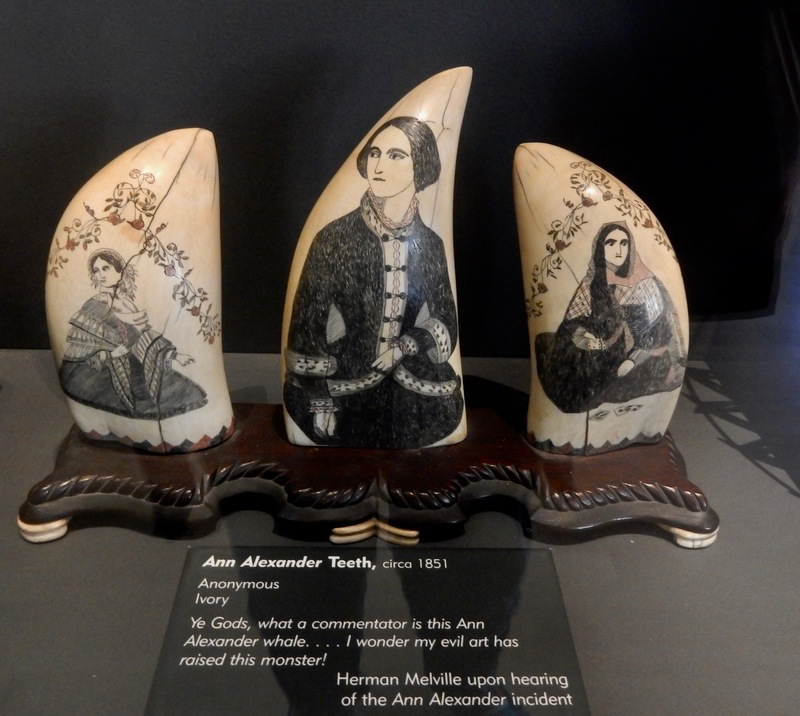 Upstairs, several galleries feature temporary exhibits, and one permanent, which happens to be my favorite – the Decorative Arts – showcasing shelves and shelves of elaborate scrimshaw on whales teeth, rolling pins, pipes, and other work of crafty sailors. It’s one more floor up to the Observation Deck, which on nice days is a great spot to sit and just chew on the exceptional views of town, and the open-mouth ferry and wharves in the harbor below. It’s a not so secret meeting place, and quiet space for a breather. Museum open Sat/Sun mid-Feb to mid April 11-3, Mid April to Memorial Day daily 11-4, Memorial Day thru October daily 10-5, $20 adults, $5 kids for “All Access Pass” that includes entry to other NHS properties. 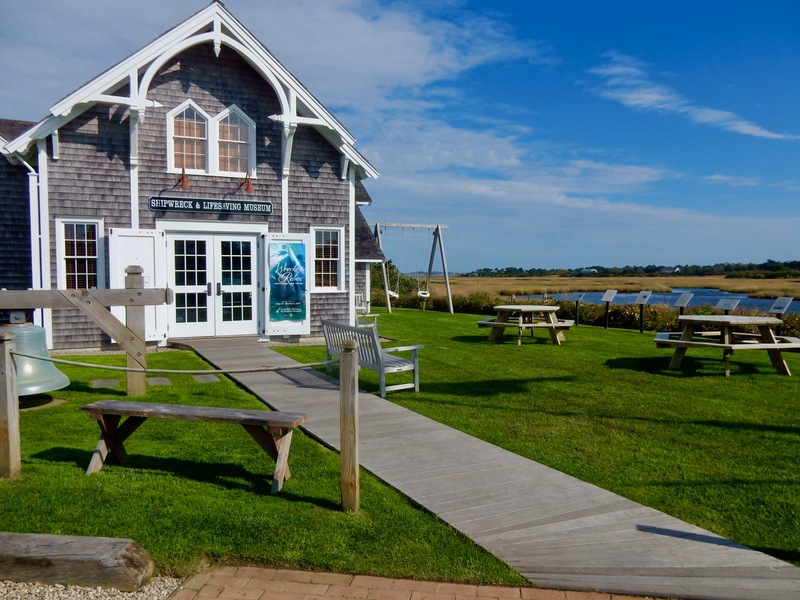 VISIT: Egan Maritime Shipwreck and Lifesaving Museum. A bit out of town, this fantastic museum, celebrating it’s 50th and 10th anniversaries (first for its initial opening, second for its 2007 expansion) is worth the bike ride, or even a taxi ride to see. Shoals surround this 14-mile long crescent moon shaped island: over 700 ships have run aground around Nantucket – and continue to do so. Nantucket has been a magnet for shipwrecks since men set off in ships: the last one in 1995, when the Panamanian cruise ship Royal Majesty lost its bearings and ran aground on the Rose & Crown shoals (floating off, without any injuries, at high tide). Between 1700 and 1900, over 200 ships a day from all over the world sailed to or within miles of Nantucket, with no GPS. Using only a clock, sexton and compass, many ran up on the shoals, and were broken up by the waves. In wintertime, crews on wrecked ships would often die of exposure, impelling the Boston Humane Society (when it was still “human” oriented) in 1775-1780 to build unmanned shacks on beaches stocked with blankets and stoves so that victims of wrecks could survive the night. (The four “Humane Houses” that remain on the island have been turned into summer homes). In 1871, the US Government formed the U.S. Lifesaving Service with paid crews. 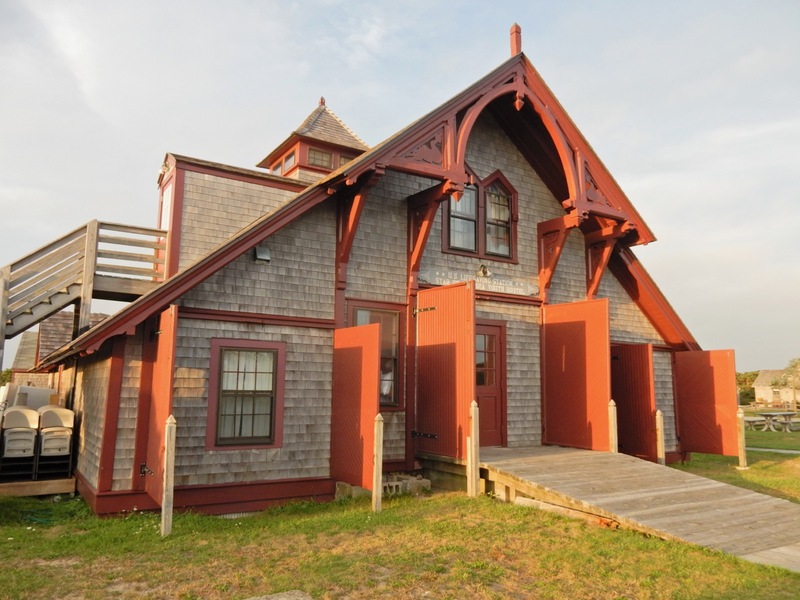 (The first Lifesaving Station on Nantucket– near Surfside – is now the Star of the Sea Youth Hostel). In 1915, the Service merged with the Revenue Cutter Service to form the U.S. Coast Guard. Learn about early lifesaving techniques, like the “Breaches Buoy” – a method of rescue utilizing a zip-line shot from shore to distressed vessel (last used in 1962 when helicopters couldn’t get to a ship listing near shore). On January 10th 1886, battling strong winds, snow, and heavy seas, the Schooner Witherspoon ran aground, and even though men of the Lifesaving Service on land came almost immediately, the sailors were so frozen, it took them hours just to set up the breaches buoy. A copy of a painting by a witness to the scene is on view along with a splinter from the ship. Other famous disasters happened far from shore. The Nantucket Lightship – sitting miles from land to ward sailors off the shoals – was once called the “Statue of Liberty of the Sea,” as it was the first light mariners would see while sailing from Europe. (Lightships were decommissioned in the 1980’s and were replaced by buoys). On May 15 1934, the sister ship to the Titanic, the Olympic, was following a radio beacon sent from the Nantucket Lightship when the large Ocean Liner rammed and sunk the smaller boat – killing 7 people onboard. And a more recent and well known tragedy that could have been much worse: the SS Andrea Doria heading to New York on July 25th, 1956, with 1,706 people aboard, collided with the MS Stockholm about 45 miles south of Nantucket. Though 46 people died, many more were saved, as it took over 11 hours for the ship to sink and other ships in the area took part in rescue efforts. The beauty of this museum is that shipwrecks come to life here, especially if you enlist a docent who interjects personal tales and adds drama. You’ll also hear about island characters like Millie, who lived next door to Fred Rogers (“Mr. 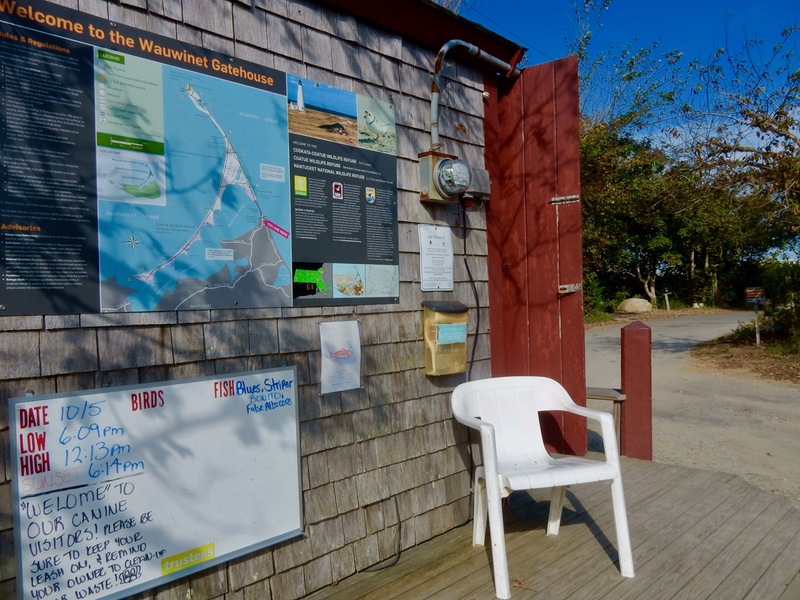 Rogers”) in Madaket, and see life preservers made entirely of cork, spurring one visitor to quip, “that’ll take a lot of wine!” Open Memorial Day to Columbus Day, $10. 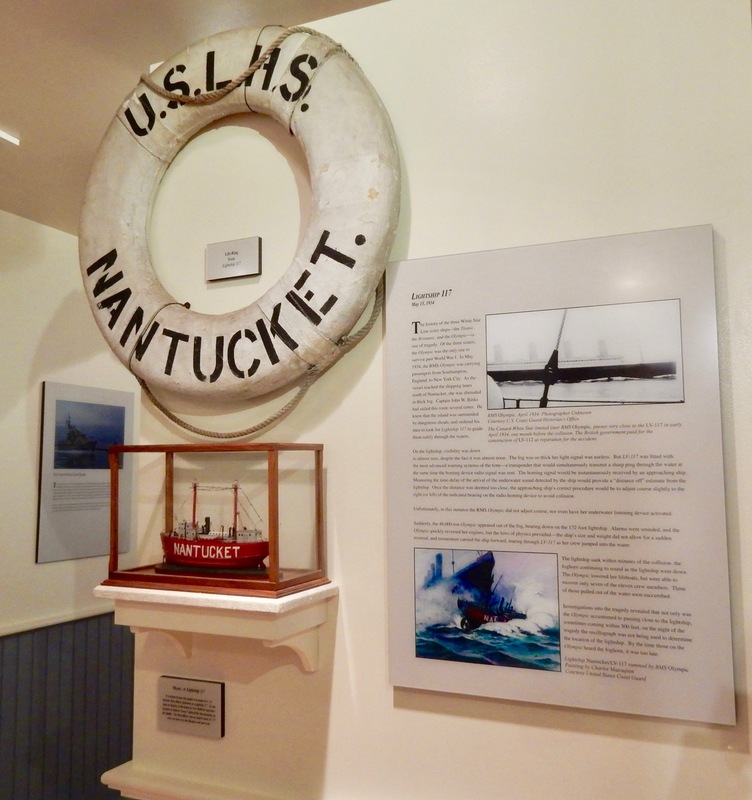 VISIT: Nantucket Lightship Basket Museum. The Nantucket Lightship Basket is easily identifiable the world over, though you have to come to Nantucket (or order online from here) to obtain this truly authentic piece of folk art. 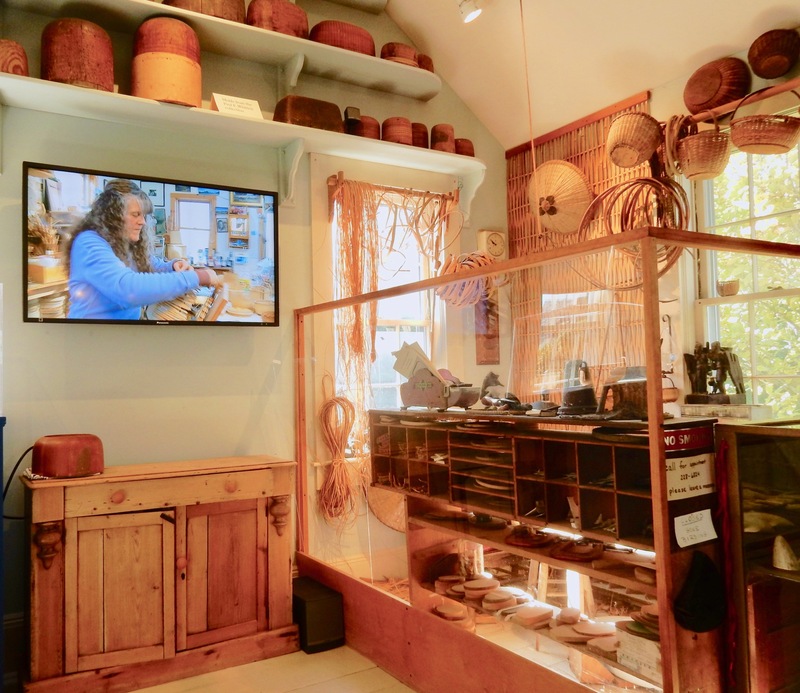 The woven baskets made from strips of rattan brought back to Nantucket on Pacific-Island-bound whaling ships were first painstakingly fashioned in the 1870’s by men manning the Nantucket Lightship – essentially a floating lighthouse. What came to be known as “Lightship Baskets” were initially given to wives and used to carry crops from fields and gardens. But, in 1948, Jose Reyes, protégée of basket-maker, Mitchy Ray, tweaked the utilitarian Lightship Basket, scaling down its size, giving it a cover, ivory clasp, and curved wooden handle. When Charlie Sayles, another famous artisan, placed a carved ivory whale on the lid of this new “Friendship Basket” in the 1950’s, a Fashion Icon, not to mention a coveted Nantucket souvenir, was born. From 1948 until his death in 1978, it’s estimated that Reyes made over 5,000 signed baskets. This very localized form of art is not dying out, thanks to current artisans who are learning from 3rd and 4th generation basket makers. 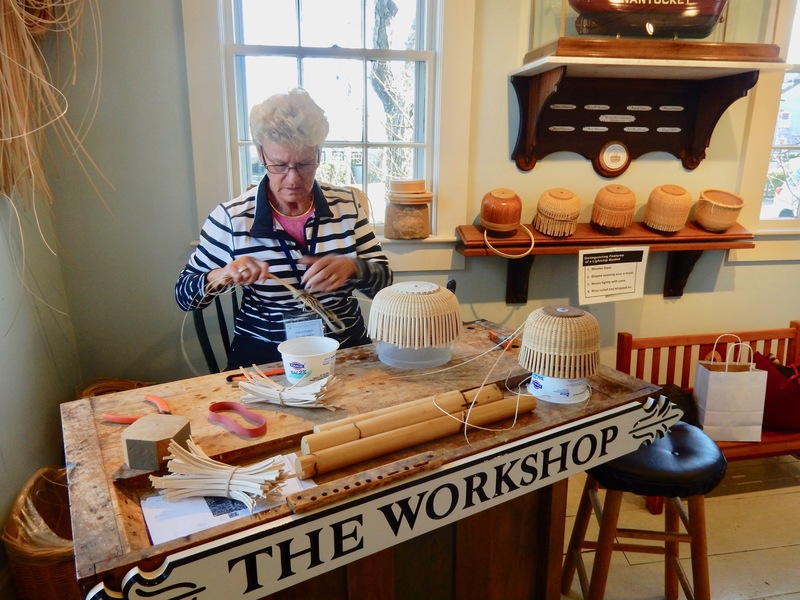 Watch an amateur weaver at work (in photo, Eleanor Roethke, volunteer), see a 12 minute video about the history of the craft, and peruse some of the oldest baskets. 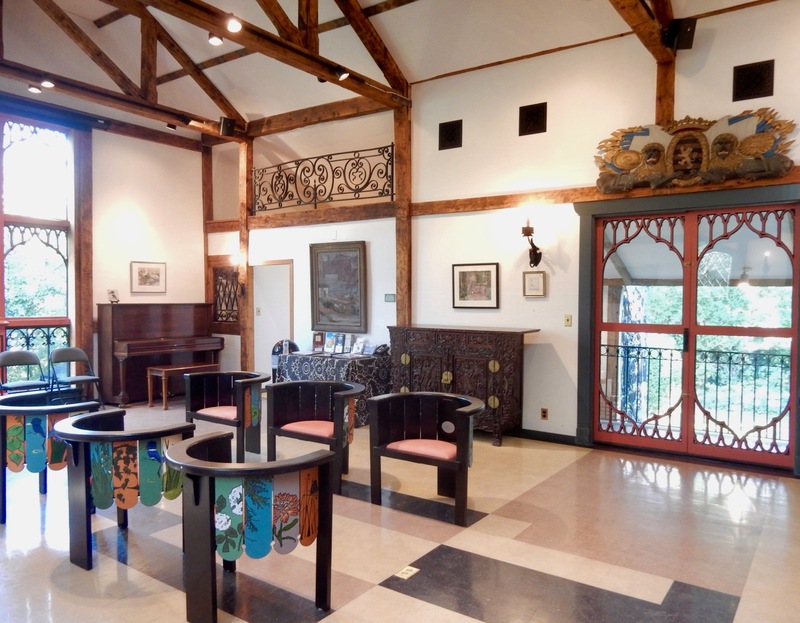 Museum open Memorial Weekend to Columbus Day Weekend, Tues-Sat 10-4:30. TOUR: Greater Light. Not to be confused with the Great Point Lighthouse marking the Northernmost end of Nantucket, Greater Light was the home of a couple of eccentric Quaker sisters, Philly born Gertrude and Hannah Monaghan, who never married and, in 1930, converted an old livestock barn into a “found object” work of art. The sisters had been summering on Nantucket for years, with their wealthy parents, and had garnered a quirky, artistic following. Gertrude as muralist and Hannah as actress and playwright would mount theatrical shows in the large sunlit central room, where now, most furniture is original to the home, and art on the walls came from Gertrude’s own hand. VISIT: Fire Hose Cart House, NHA Site. Built in 1886 this small barn is the last remaining 19th century firehouse on the island. Here, you’ll watch a video about the harrowing Fire of July 13, 1846, when a “tiny tongue of flame in a hat shop leapt from a stovepipe into a wall,” setting off a chain reaction that would leave a third of downtown, where the dry goods, grocery and provisions stores were located, in cinders. Nothing in that area survived, necessitating a call for help from off-island. 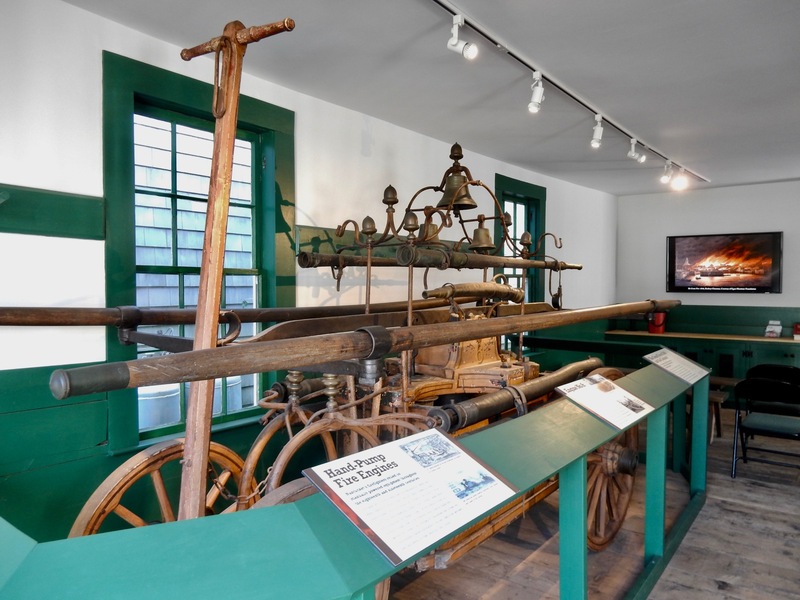 The human-pulled Cataract # 6 was one of the only Hose Carts to survive the Great Fire. 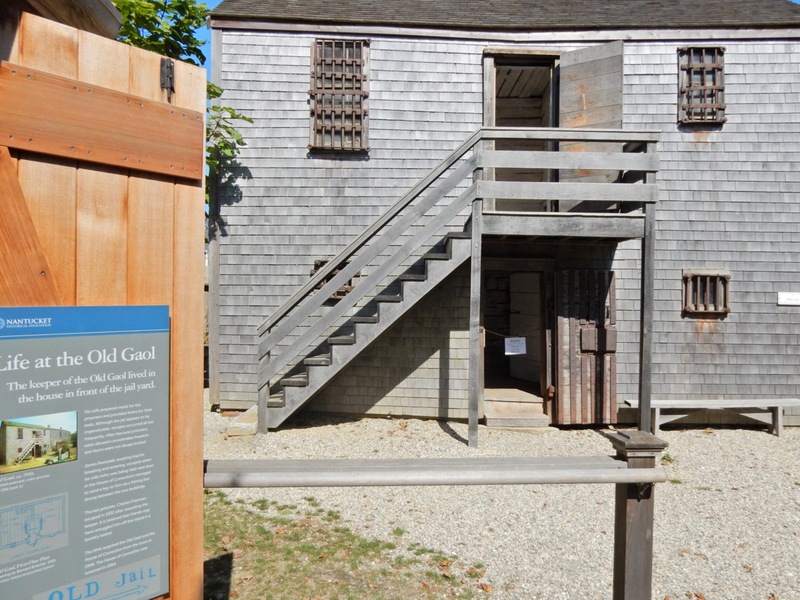 VISIT: Jethro Coffin House – the “Oldest House in Nantucket in its Original Location,” NHA Site. 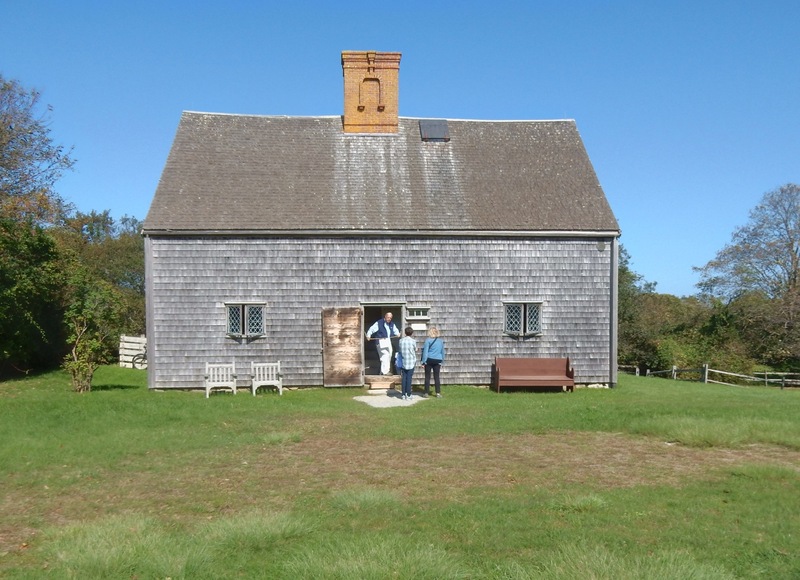 Sitting up a hill on its lonesome, this Saltbox home was Nantucket’s largest structure when first built in 1686 as a wedding gift from Jethro’s big shot Dad, Peter Coffin. Peter maintained a financial interest in the New Hampshire Lumber Co., which came in handy, as the brush and spindly trees on Nantucket were useless in construction. In the mid 1600’s, wood had to be imported from the mainland or scavenged from shipwrecks. At age 23, Jethro married Mary, 16, and they were fruitful and multiplied. Mary and Jethro had 8 children, raising 6 in this “over the top McMansion of the day,” and lived here for 20 years. Though the original portrait of Mary is in the Nantucket Whaling Museum, there’s a copy here, and you’ll want to take a close gander: she looks exactly like a Gilbert Stewart rendering of George Washington. TOUR: Old Gaol, NHA Site. Pronounced “jail,” this 1805 Garrison-style prison is one of the oldest in the country. While hardened ciminals were shipped off the island, this is where low level petty thieves and prostitutes were locked up. Now in a residential area surrounded by houses, it was first built next to a House of Corrections (halfway house for orphans and the homeless) and judicial area. 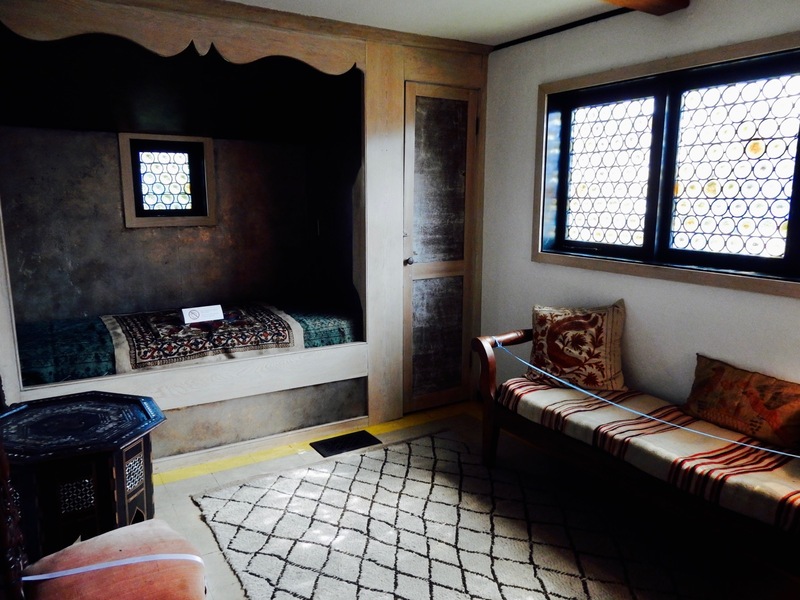 Inside, four rooms – two on each floor – held two prisoners each and was quite cushy compared to overcrowded jails of the day. 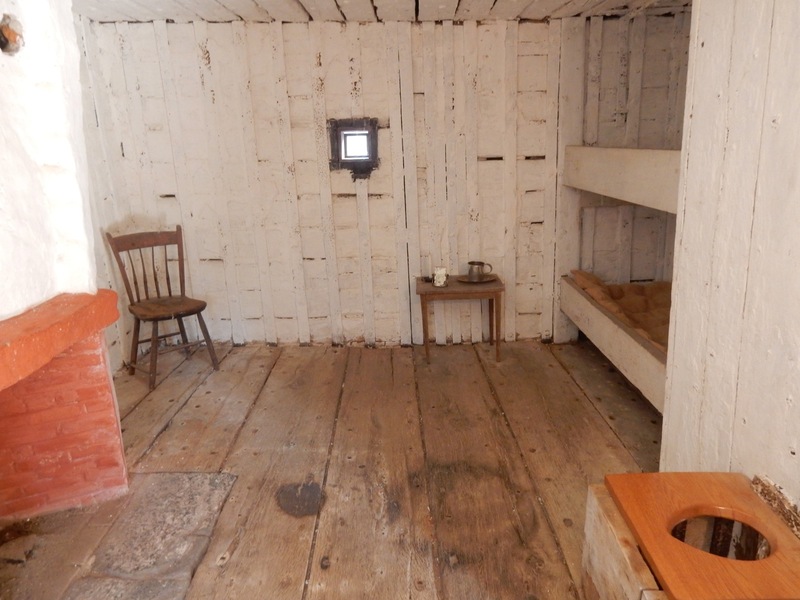 Each prisoner had his own bunk, chamber pot, and some wood for the stove heater. 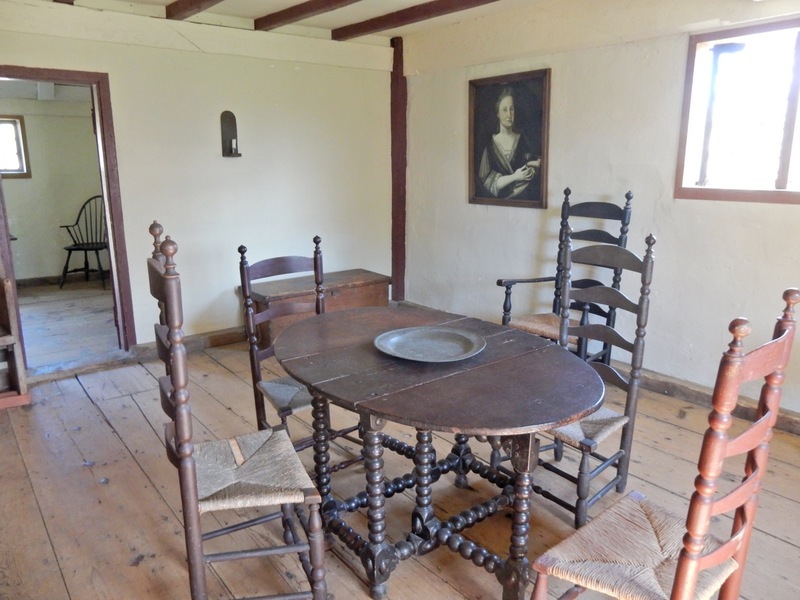 Take the tour to hear engaging stories of those who spent time here, including a town drunk who embezzled from the bank and “must have had connections,” as he lived upstairs in “the penthouse” for three years, made baskets, read books, and was granted a pardon from President Cleveland. The Gaol served as the town’s penal facility until 1933. TOUR: Old Mill. 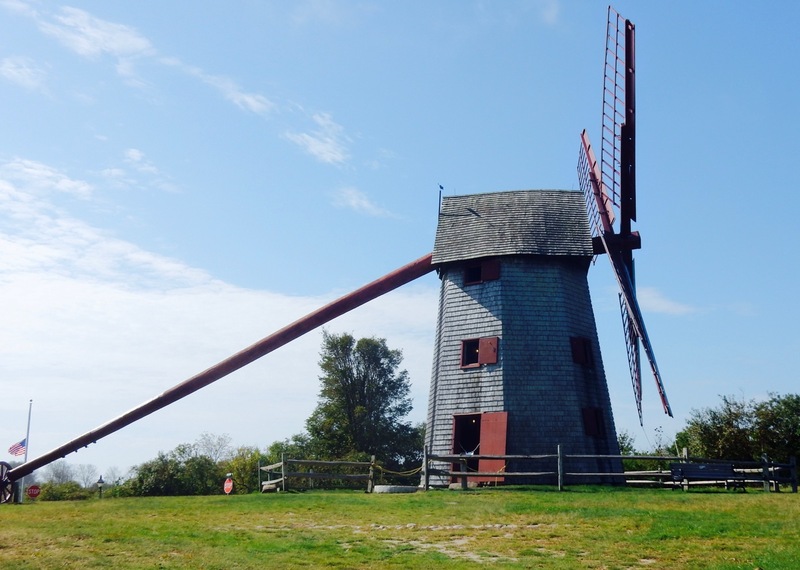 Built in 1756, this Dutch windmill is the oldest functioning mill in the United States and opens for tours and demonstrations. Going inside to see the workings of this early machine, the advanced technology of the day, is completely mindblowing. 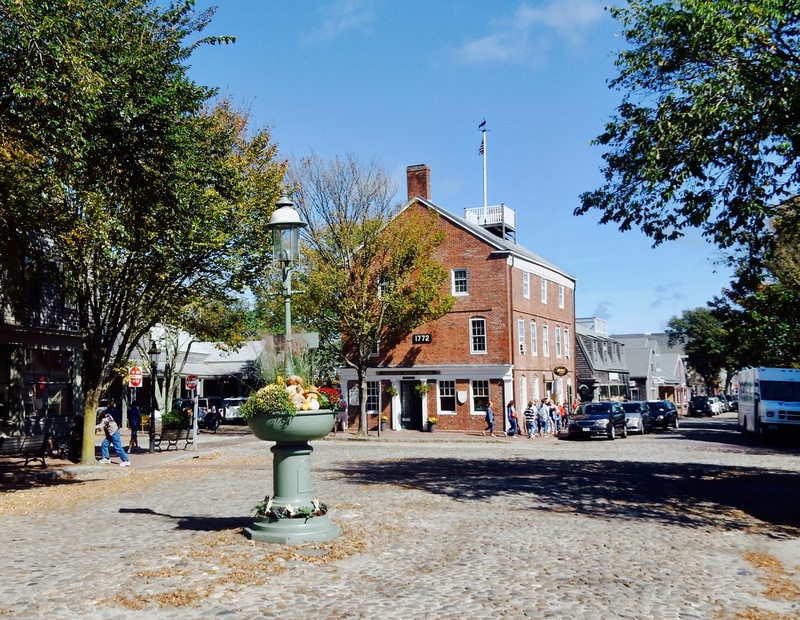 TOUR: Nantucket Historical Association Downtown Walking Tour: As you stroll the cobblestone and brick-line Historic District, you’ll learn about Nantucket’s transformation from the Whaling Capital of the World to a world-class destination, with a stop at the Quaker Meeting House and Greek Revival Hadwen House. 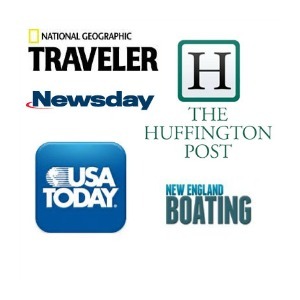 1 ½ hour tours Mid-May-October, daily 11:15 and 2:15, $10 per person. 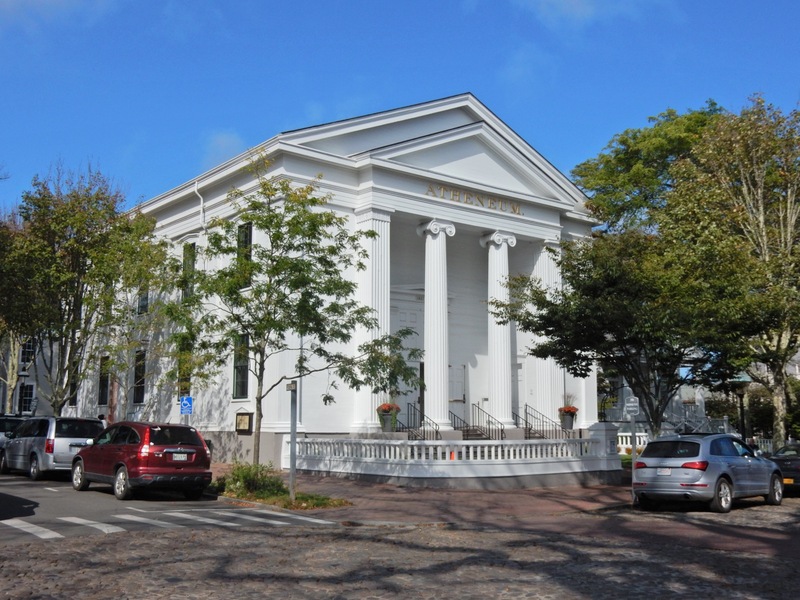 STOP: Nantucket Athenaeum. One of the only grand structures to survive the great fire of 1846, this neoclassical library makes it on many an Instagram page. SHOP: Brown Basket Gallery, South Wharf. Come down to the waterfront to visit the man and his handiwork. G.L. 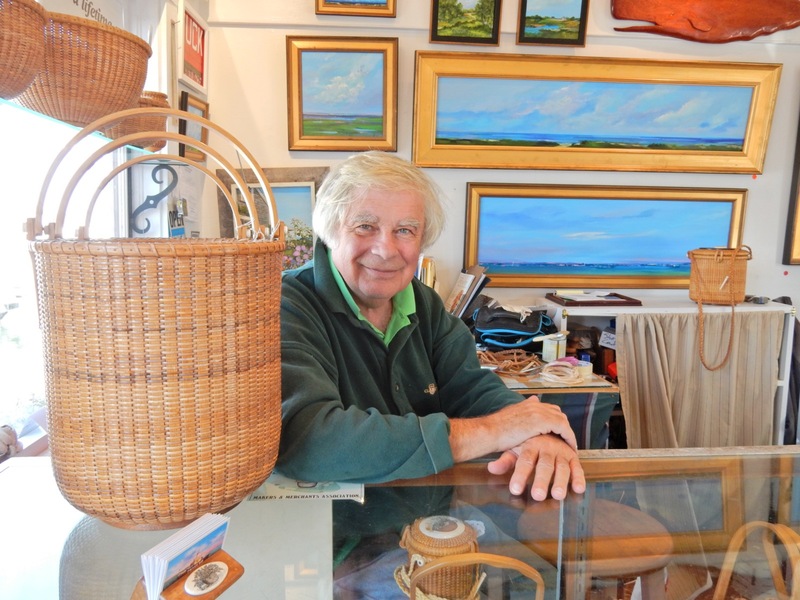 Brown, one of the very few authentic Nantucket Lightship Basket makers in business for over 40 years, has invented some of his own styles in addition to traditional ones. 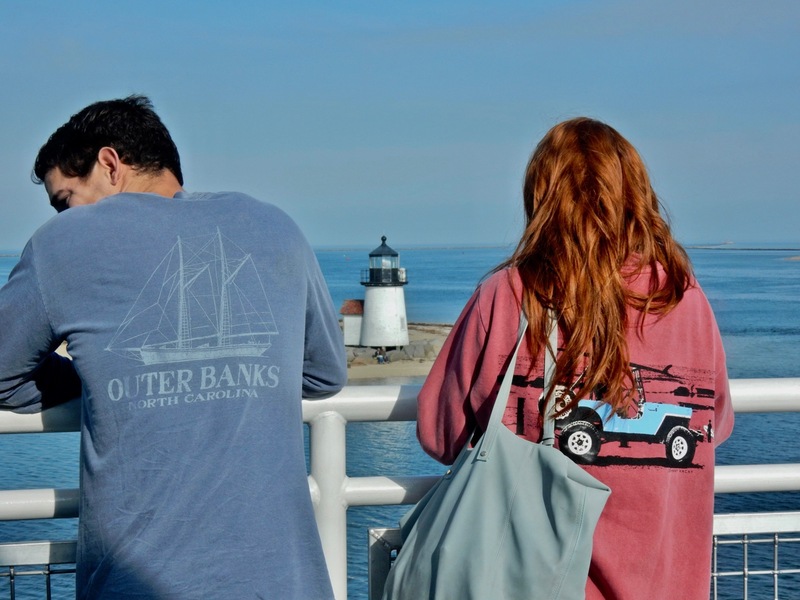 ORIENTATION TOURS: If you only have a few hours, or want to get the lay of the land right off the ferry, opt for one of several sightseeing tours that all run about 1.5 to 2 hours, and bring you to all points on the island. 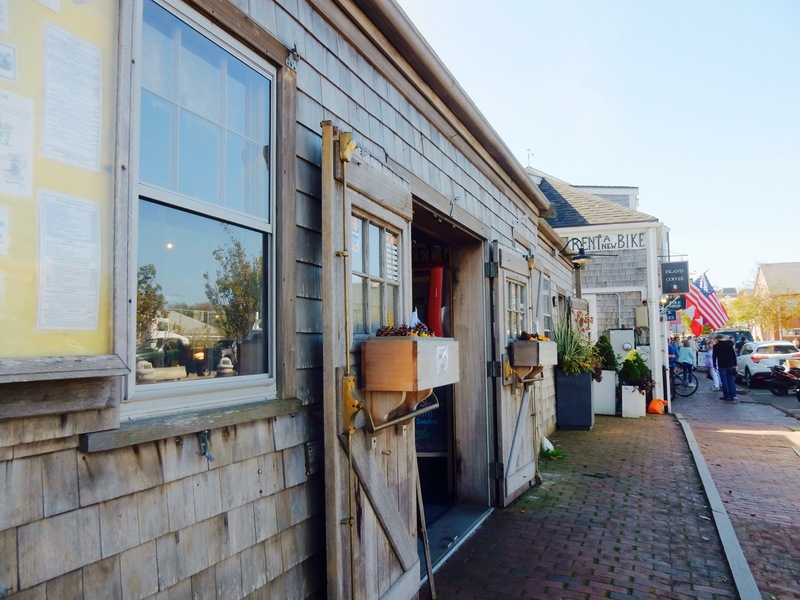 Choose from Barrett’s Tours or Nantucket Island Tours – in coach buses; Gail’s Tours in a luxury Mercedes Benz van, or a custom tour (or just a ride somewhere) with Val’s Cabs. TOUR: Coskata-Coatue Wildlife Refuge. 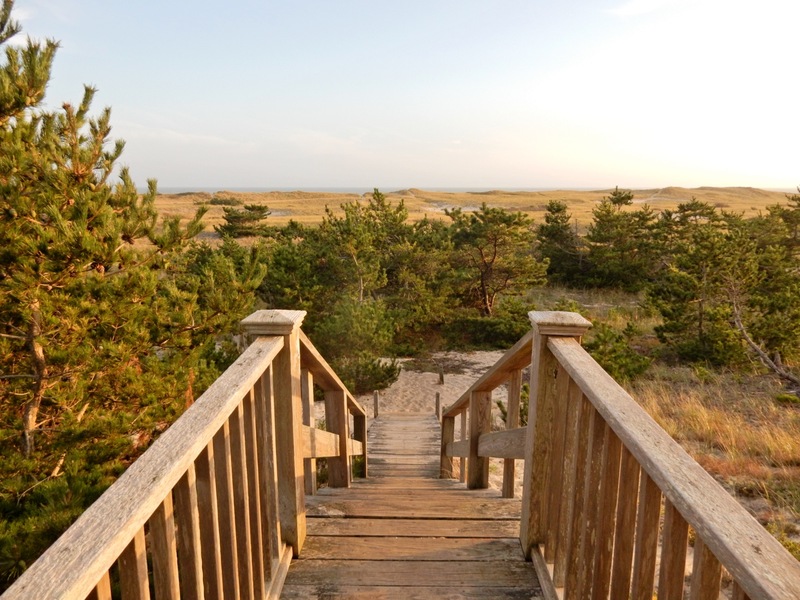 Owned by the Trustees of Reservations, these 1,117- acres of beach, salt marsh, sand dunes, and “forests” of wind-sheared oak and cedar, on the far northern end of the island, allows very limited access. The Great Point Lighthouse now standing was built in 1986 to replace the 1816 structure destroyed during a punishing coastal storm in March 1984. The best way to experience this Refuge is via 3 hour Natural History 4X4 Oversand Vehicle Tour offered Thurs-Mon 9am and 1pm, $60 adults, $20 kids (though not recommended for children under 5). CLIMB: First Congregational Church Steeple Tower. Whaling captain’s wives paced these “widow’s walks” while waiting for their men to return from the sea. The tower, with sweeping views of the town and island, is open for visitors with hearty lungs (94 steps to the top). Open Mon-Fri 10-2, $5. VISIT: Maria Mitchell Assoc. Science Center and Observatories. Maria Mitchell, the first “Professional Female Astronomer in the USA,” was born on Nantucket and was also a naturalist, librarian and educator who believed in “learning by doing.” The Association operates 2 observatories, a natural science museum and aquarium, and preserves Mitchell’s birthplace. SUNSET: Madaket Beach. 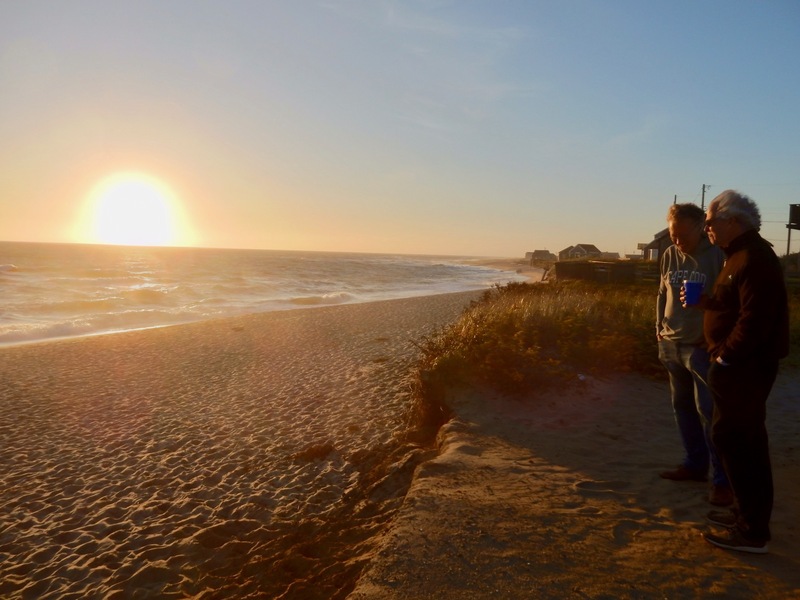 Join the hordes on clear evenings to watch the sun set over Nantucket Sound. It’s a few miles from town, so either ride your bike or arrange a ride. Remember, you’ll be on the road again when it’s dark. 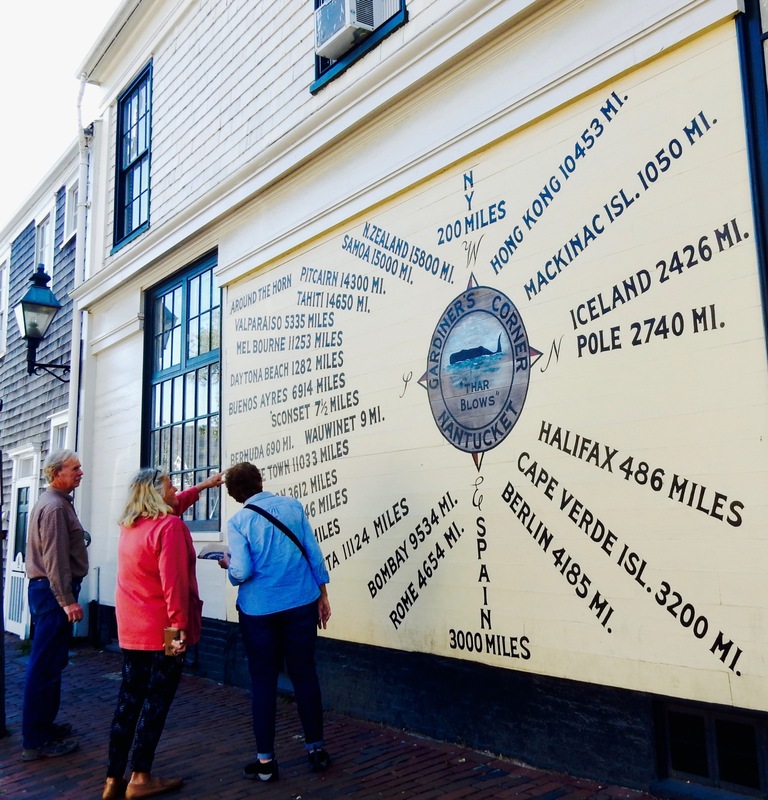 GETTING TO NANTUCKET: Steamship Authority, Hyannis MA. 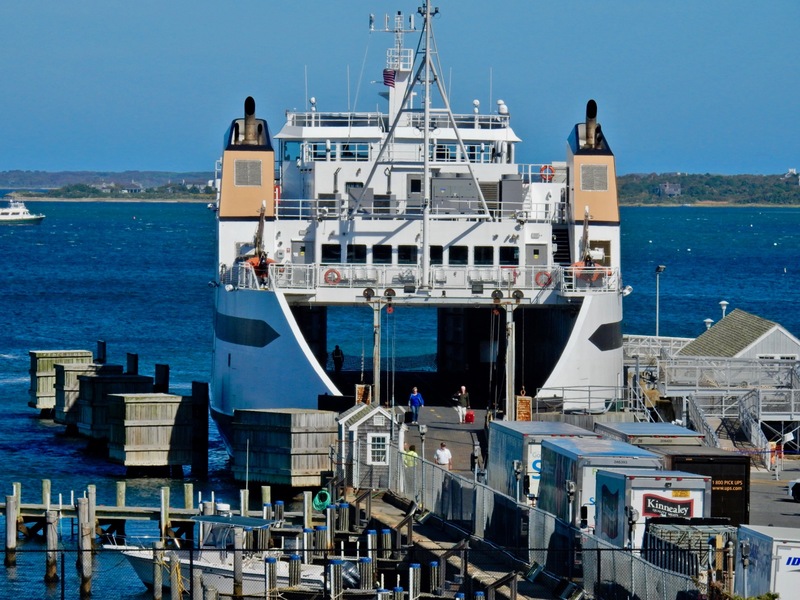 Short of flying in or hitching a ride on your friend’s yacht, Steamship Authority’s Nantucket Ferry is the most popular and consistent way to get to the island, especially if you need to bring your car, as no other ferry service offers it. Car transport is expensive – $225 each way (total with driver at $18.50 each way adds up to nearly $500 round trip) so bringing your car is best for families renting a seasonal house or for people with second homes on the island. Consider bringing a bike only – at $7 each way, your round trip cost is just $51 on the slow ferry that takes 2 1/4 hours. The Steamship Authority also runs high-speed ferries out of Hyannis – taking one hour – at $69 round trip. 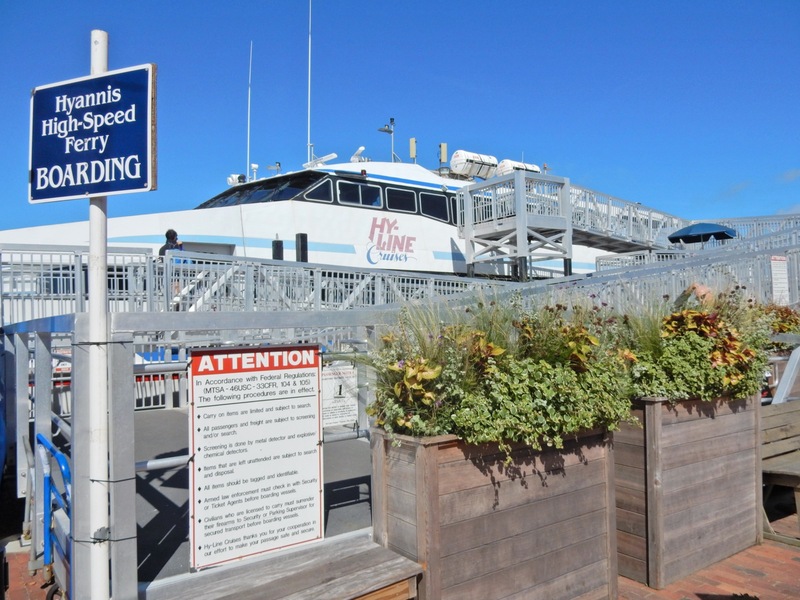 Hy-Line Cruises (no cars) operates year round multiple times a day from Hyannis MA ($77 round trip in season, less offseason), and another high-speed Sunstreak Ferry out of New Bedford MA operates between Memorial Day and Labor Day (no cars, $70 weekdays, $90 weekends round trip). RENT BIKE/CAR: There are plenty of bike rental shops as soon as you exit the ferry wharfs, so even if you don’t bring one, you can rent one. 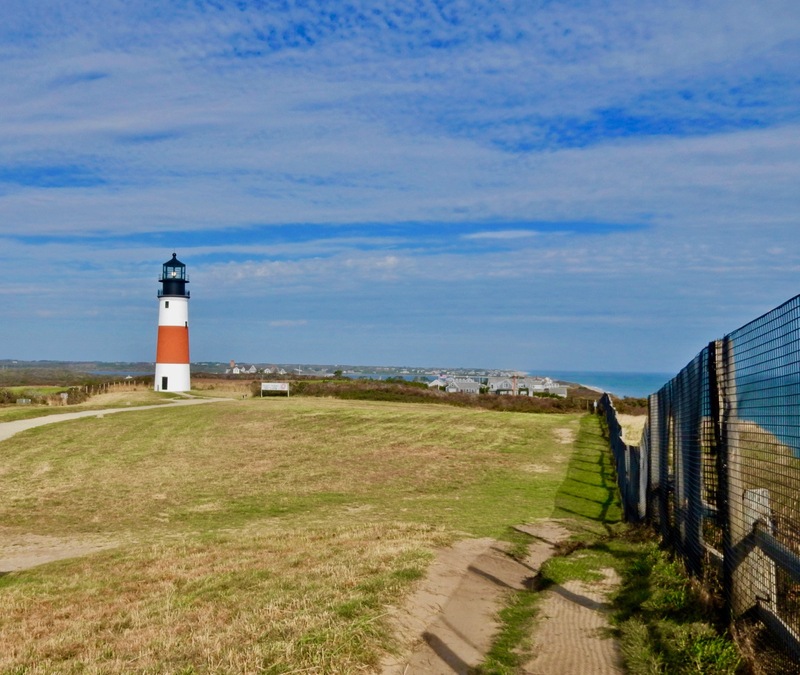 From town, Cisco Brewery is 3.8 miles, Madaket Beach is 6.2 miles, and Sankaty Light is nearly 9 miles – all on wide and easy bike baths that thread the island. 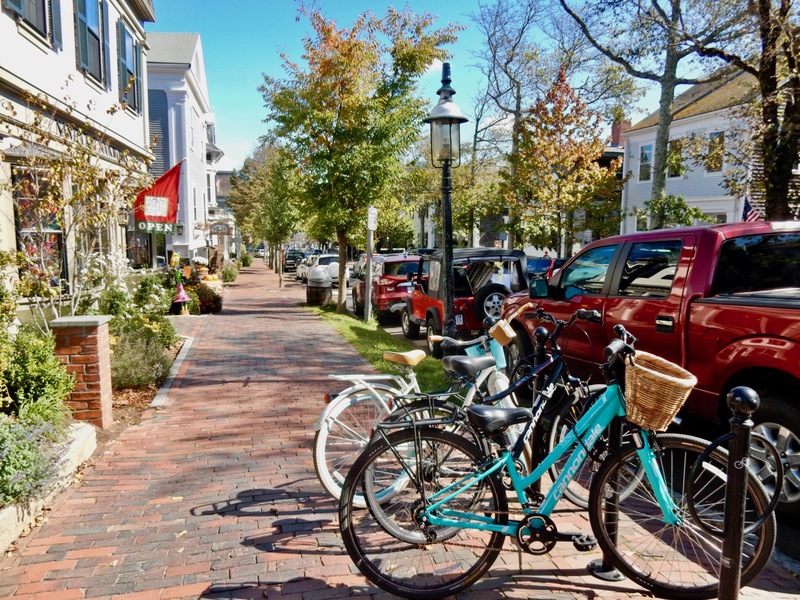 Young’s Bicycle Shop (also rents cars), Nantucket Bike Shop, Easy Riders Bicycles, Cook’s Cycles (also rents mopeds and Jeeps), Nantucket Island Rent A Car (at the Airport), Affordable Rentals for cars. BUS: The NTRA “Ride the Wave” has routes all over the island. May-mid October, 7am – 11:30 pm. 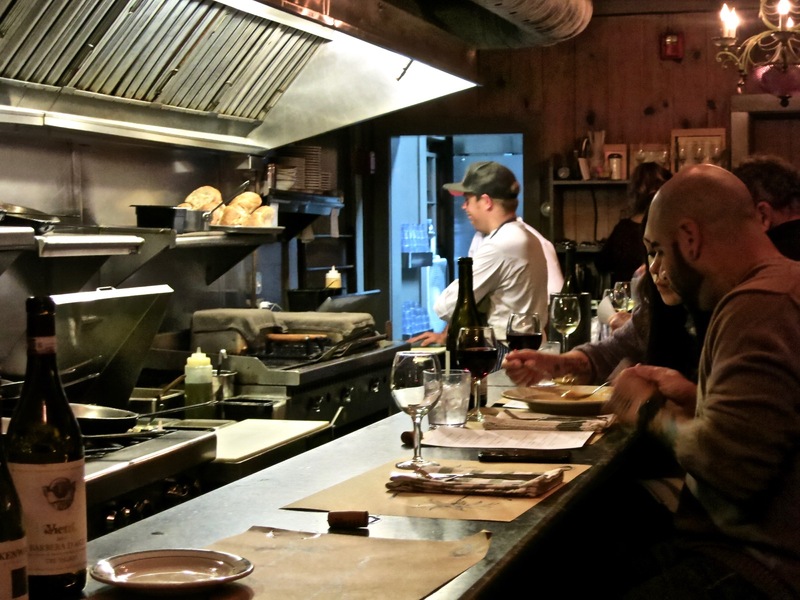 EAT/TASTE/BEER/WINE/BOOZE: Cisco Brewers. As you might tell from the category, this is not just a brewery. 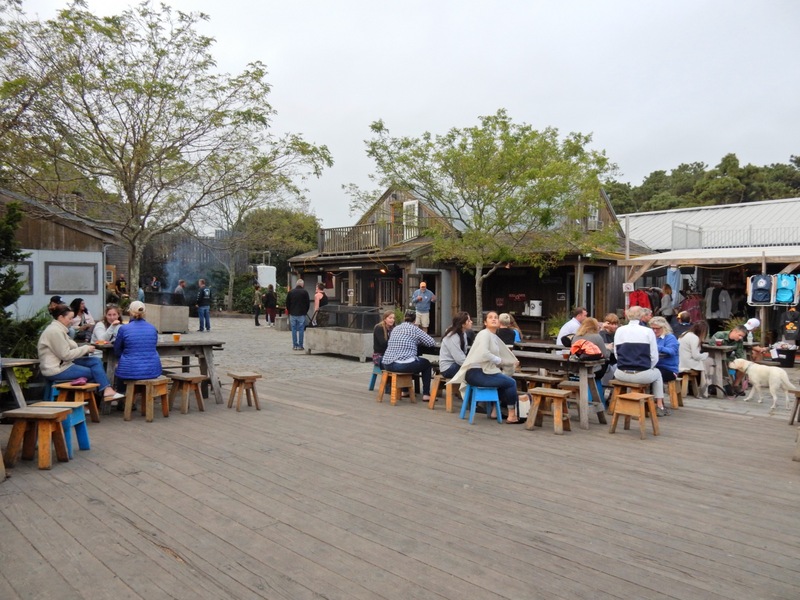 Cisco encompasses Nantucket Winery, Cisco Brewery, and Triple Eight Distillery, a gift shop, a live music venue, and various food trucks – in all a party year round on grounds seemingly expanding by the minute. Take your food and drinks to an open-air patio replete with picnic tables, and room to dance if the spirits move you. A few miles out of town, you can either bike here, cab it, or take the free shuttle that leaves every 15 minutes from the Visitor’s Center downtown. Open Mon-Sat 11-7, Sun 12-6. EAT: Black Eyed Susan’s. The food is fantastic in this sleek sailing yacht- wide restaurant. Winning raves for both its breakfasts and dinners – a feat in and of itself – served either on the luncheonette counter or a few tables, we were happy with fresh salads, and minimally fussed with entree’s like pasta touched only by sautéed tomatoes, garlic, and not much else. EAT: Many locals claim that there is not a bad meal to be had on the Island, as excellent restaurants have raised the bar: a “rising tide lifts all boats” effect. That said, of course, there are favorites: hit up Millie’s on Madaket Beach for awesome sunsets and seafood, Cru at the end of Straight Wharf for oysters and lobster rolls with a harbor view, Dune in downtown for modern American cuisine, The Nautilus for “rustic seafood-centric small plates,” and American Seasons – a lowlit huntsman-cabin-chic favorite, with innovative cuisine and top notch service. STAY: Regatta Inn. 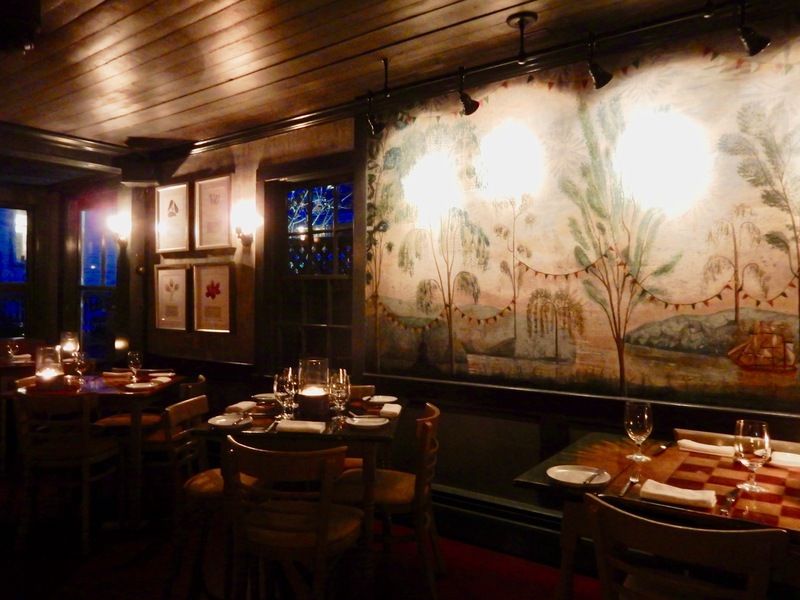 Though there are dozens of hotels, inns and B&B’s on Nantucket, the Regatta Inn, renovated in 2016, distinguishes itself as an unpretentious luxury establishment a few blocks from the downtown action, with a thoughtfully designed interior, great attention to detail, and a warm, gracious approach to hospitality: all at a surprisingly reasonable rate. A true Maven Favorite – read the complete write-up here. 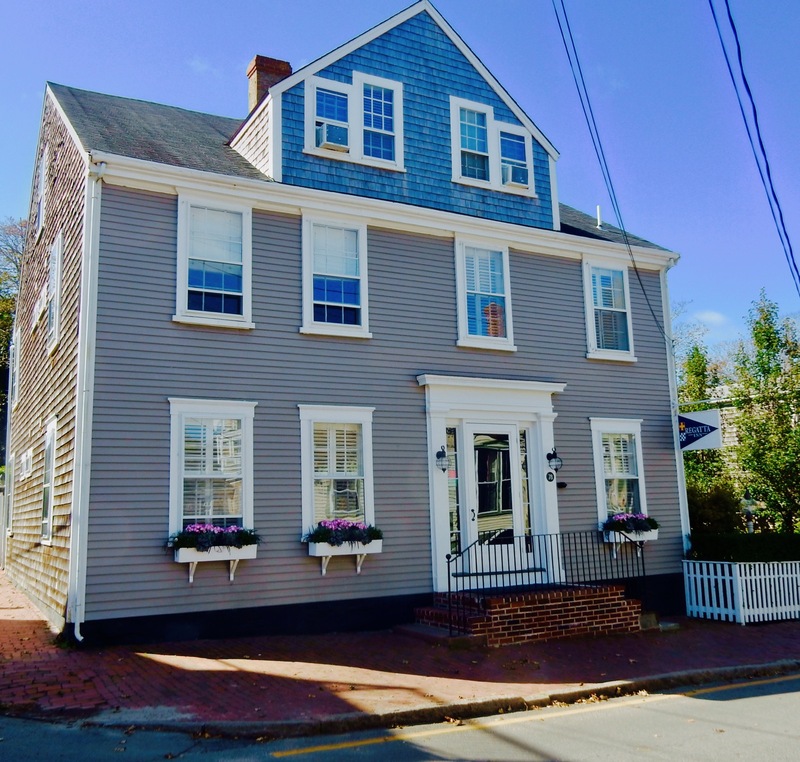 There are dozens of hotels, inns, and B&B’s on Nantucket, and range from Budget to Luxury, from traditional to contemporary. Even the Star of the Sea Youth Hostel is a knockout, for those with limited funds.